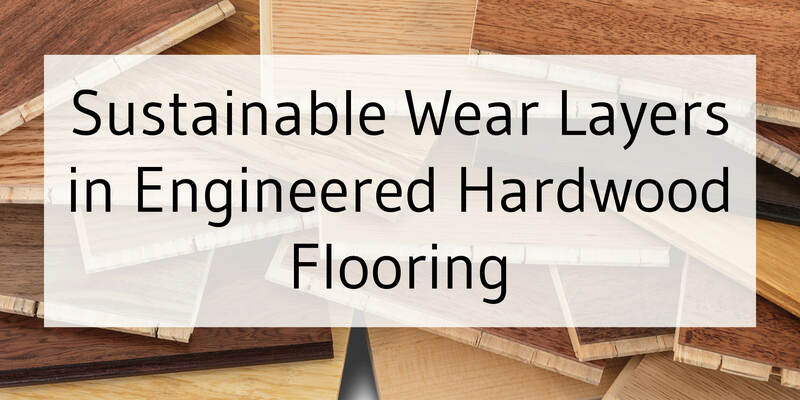 Sustainable wear layers in engineered hardwood flooring can be tough to find, especially since engineered wood flooring is so popular today. However, it is possible to have sustainably sourced hardwood floors. For instance, did you know that Tesoro Woods recycles old building timber and industrial waste wood into beautiful new flooring? What’s a Wear Layer and Where Does it Come From? A Tesoro Woods engineered floor is constructed using an inner core, made up of 3 layers of solid plantation pine in a cross slat platform, which are glued and pressed together. A layer of the desired decorative wood species is then fused on top of this inner core. This top layer is the wear layer, the “face” of the floor – it’s what is seen once the flooring is installed and what will gradually get worn down over time. Tesoro Woods prides itself on offering truly sustainably sourced hardwood flooring, with some of the eco-friendliest wear layers available today. We offer hardwood flooring collections with recycled post-industrial wear layers and salvaged heart pine wear layers from building deconstruction, as well as sustainably harvested wear layers from environmentally-responsibly controlled forests or plantations. Wood veneer mills, when slicing the best North American and South American logs into veneer end up with two thin waste center boards from each log. Typically, this by-product will be used for boiler fuel. Tesoro Woods recycles this by-product, using it as the wear layers in our engineered flooring. Doing this creates a natural, sustainably sourced and incredibly beautiful flooring from the finest logs. The Great Northern Woods Collection and the Great Southern Woods Collection feature recycled post-industrial wear layers. Wood can be deconstructed from just about any type of building – houses, mills, barns, bridges, tanks, warehouses, towers, railroads, anything. Larger timbers and structural members are taken from the deconstructed buildings in an “as is” condition. From there, Tesoro Woods salvages them, simply re-milling this high-quality material into uniquely beautiful flooring. The Salvaged Pine Collection features wear layers that were salvaged from building deconstruction. Sustainable forestry exists where controlled forest management practices allow for wood harvesting to be eco-friendly. Today, these practices are set up and managed by third-party certifying organizations. Forest certification is very important, as it allows consumers to use their purchasing power to support forestry practices that conserves forests for future generations. Look for hardwood flooring products that are certified by the Forest Stewardship Council® (FSC®), as it is the current industry leading third party certifying organization. Tesoro Woods has been a leading proponent of sustainability devoted to protecting the forests and truly offers homeowners sustainably sourced, FSC®-certified wood flooring.